You get it. You’re ready to partner with a local school to empower students to thrive. 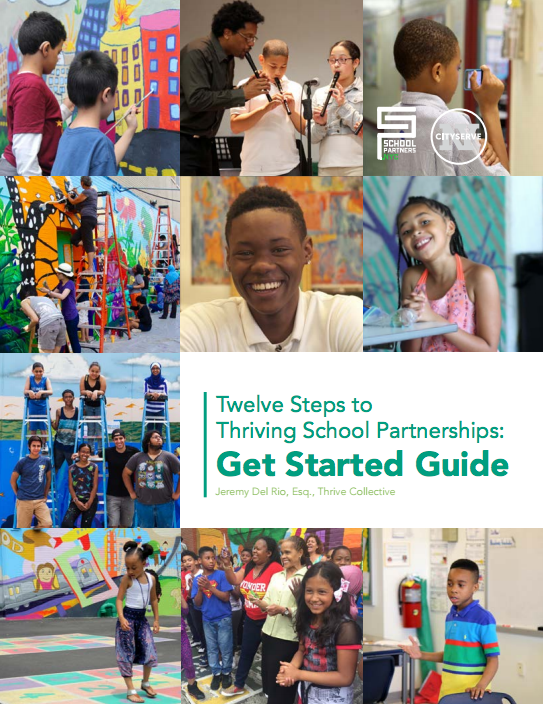 The Get Started Guide is a short eBook that walks you through a twelve step pathway of cultivating a meaningful partnership with a local school. The eBook is available now. If you’d like to receive it please enter your name and email below. Thrive Collective leads SchoolPartners.NYC, a growing network of service providers that catalyzes, coaches, and supports school partnerships that improve educational and life outcomes for students convened by NY CityServe. SPNYC shares best practices, ideas, and resources in support of New York City’s 1.1 million public school students and nearly 1,800 public schools. In 2016, more than 120 community partners provided 150 programs and services that together served 53,000 students at 100 schools in 25 NYC public school districts. 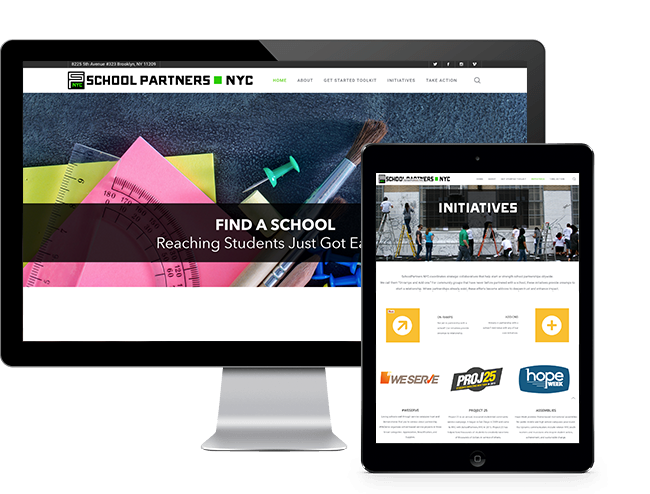 SchoolPartners.NYC coordinates strategic collaboratives that help start or strength school partnerships citywide. We call them “Onramps and Add-ons.” For community groups that have never before partnered with a school, these initiatives provide onramps to start a relationship. Where partnerships already exist, these efforts become add-ons to deepen trust and enhance impact. Project 25 is an annual, bicoastal student-led community service campaign. It began in San Diego in 2009 and came to NYC in 2015. Project 25 has helped fund thousands of students to creatively raise tens of thousands of dollars in service of others.